Time is money. 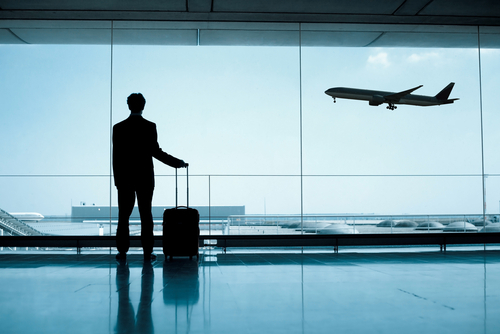 Processing delays at airports are causing missed flights and lost opportunities for business. This is an increasing concern for our business community. Last month, BBOT Chair Badar Shamim supported resolutions at the Canadian Chamber of Commerce AGM to improve processing times at Canada’s airports. In addition, together with Canada’s Global Cities Council (comprised of the CEOs of regional Chambers of Commerce/Boards of Trade in Canada’s seven largest markets), the Brampton Board of Trade is calling for performance standards and improvements in Canada’s International Airport policies to boost Canada’s productivity. Canada’s air transport industry generates approximately $35 billion in national Gross Domestic Product annually, directly supporting greater than 141,000 jobs. Such a huge economic asset should be nurtured to its full potential. But in order to do so, Canada’s international airports must be able to compete on a global level. Currently challenges with growth, screening and border services, federal rent structures and land lease agreements are impacting Canada’s ability to fully harness the strength of its major airports as strong economic assets. It’s also impacting the traveler experience, which is driving more and more Canadians to choose international travel through airports outside of Canada. Every year, 6 million passengers choose to travel to and from airports located outside of the country. The Canadian Global Cities Council is adding its voice to list of others seeking airport policy improvements in order to move people more efficiently and to maximize the full potential of Canada’s trade-enabling infrastructure. Security screening is a significant operational challenge facing Canada’s largest airports, and is a huge frustration for travelers. Except for Canada, international airports across the globe have performance standards to ensure efficient traveller processing (i.e. 95% of travellers processed in 10 minutes). Canada’s airports do not have performance standards. The result is wait times longer than need be. Chambers of Commerce and Boards of Trade in Canada’s seven largest markets have come together to advocate for faster processing times. Together with Canadian airports and air carriers, Canada’s Global Cities Council (Boards of Trade from Brampton, Toronto Region, Vancouver, Montreal, Edmonton, Calgary and Winnipeg) are calling on the government to establish performance standards and appropriate funding to the Canadian Air Transport Security Authority (CATSA) to ensure passengers are screened more efficiently and don’t miss flights. It’s also proposed that the government work quickly to deploy new and existing technologies to cut down on wait times and lower operational costs. Improve movement of passengers by expanding Transit Without Visa options for travelers to/from more markets, harmonizing immigration and trusted traveler programs with the U.S. and other trusted jurisdictions, and expanding the use of Electronic Travel Authorization for low risk travelers. Next month, Board of Trade members are invited to discuss federal issues, including airport policy, directly with our local MPs. Watch bramptonbot.com in coming days for details of our November 10th, federal issues forum.